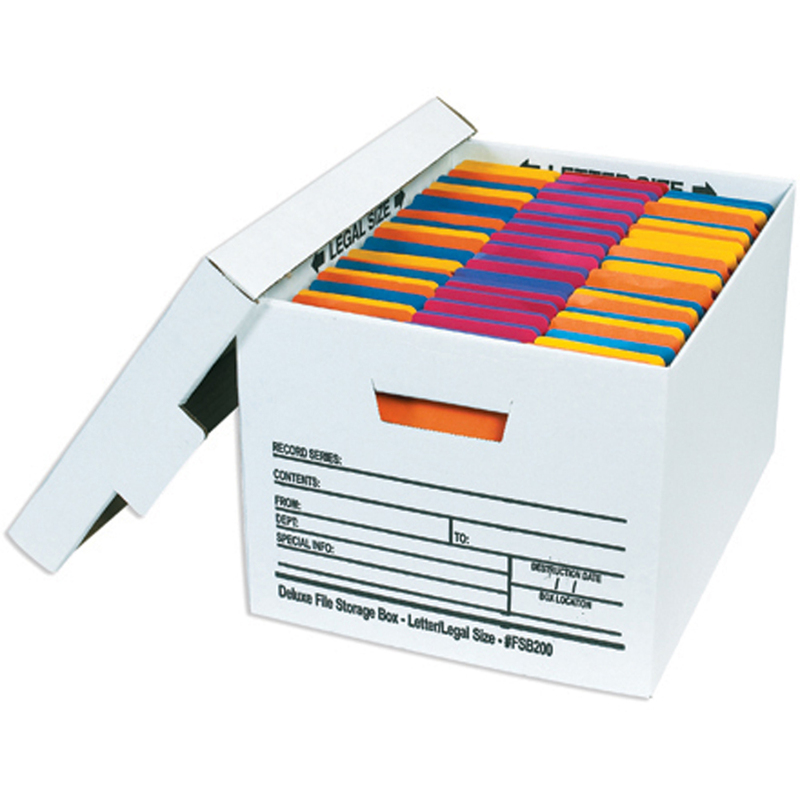 Box lids have tabs that interlock with hand holes for added strength. 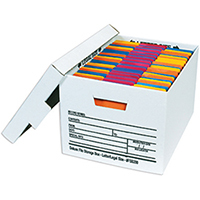 The removable lid keeps files clean and accessible. You can stack them five boxes high ontop of each other. They are Manufactured from sturdy 200#/ECT-32 white corrugate. The panels are pre-printed for easy content identification. Both the lid and the box fold together fast, and you don't need any tape or glue.